The Pease Replacement Crew had been assigned to the 93rd Bomb Group, but a last minute change reassigned them to the 492nd, bringing them to North Pickenham in July. After some in-house training they were assigned to the 859th BS to fill the empty spot of Crew 910. By the Crew's count they flew 10 missions for the 492nd. We believe that the entire crew flew each mission without any substitutions. The Pease Crew transferred to the 467th BG on 10 Aug 44. Lt Pattangall was killed in a flying accident with the Prewitte Crew on 16 Aug 44. The rest of the Pease Crew went on to complete a tour of 35 missions plus did some truck hauling jobs to keep Patton's troops rolling. After they finished, Pease volunteered to fly P-51 fighters with the 479th FG. He escorted bombers until the war ended. MOS 1024 Pease, Roscoe 2nd Lt O-818526 Transferred to the 467th BG. MOS 1024 Kaseman, Robert 2nd Lt O-823614 Transferred to the 467th BG. MOS 1034 Little, Cleatis O 2nd Lt O-708266 Transferred to the 467th BG. MOS 1035 Pattangall, Malcolm Jr 2nd Lt O-709962 Transferred to the 467th BG. KILOD, 16 Aug 44, with Prewitte. MOS 748 Dailey, James S Jr S/Sgt 31302036 Transferred to the 467th BG. MOS 757 Butti, Lewis S/Sgt 32807383 Transferred to the 467th BG. MOS 611 Henderson, Berwell Sgt 33645114 Transferred to the 467th BG. MOS 611 Hensen, William Sgt 36870730 Transferred to the 467th BG. 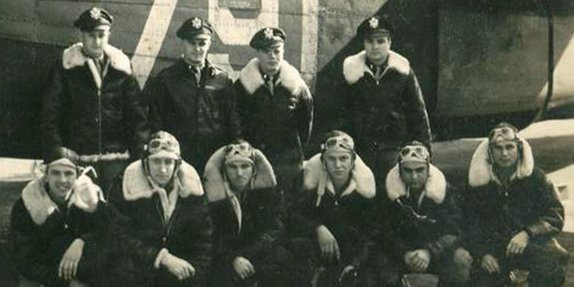 MOS 611 Krull, Edward Sgt 37676602 Transferred to the 467th BG. MOS 612 Cosgriff, John Sgt 17145079 Transferred to the 467th BG. Page last modified Sunday, January 29, 2017.